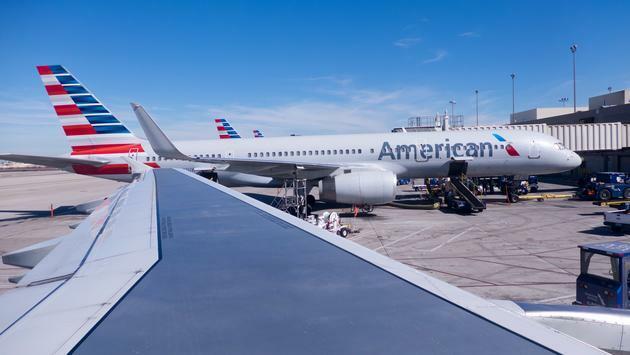 Phoenix police spokesman Tommy Thompson says the man randomly touched passengers' faces and sprayed them after the American Airlines flight from Minneapolis arrived Friday morning at Phoenix Sky Harbor International Airport. While waiting for the plane door to open, he opened a service door on the other side of the aircraft and jumped onto the tarmac 10ft below. A Minnesota man has been arrested, accused of spraying something on passengers while on a flight to Phoenix and jumping from the grounded plane. He fell about 10 feet and suffered injuries described as minor. "Law enforcement and paramedics responded", the airline said in a statement. Police said he could face trespassing charges after his bid to escape the plane at Sky Harbor International Airpor. Johnson said the man tried to stand up just minutes before landing and later attempted to make a run for it once the plane came to a stop, hitting other passengers including Johnson. According to the Arizona Republic, the passenger, whose name has not been released, became disruptive during the flight and led the flight crew to call for the police to meet the aircraft. Workers at the airport stopped the man, and he was taken into custody by Phoenix Police officers without incident.